Arguably, the two best brands in the appliance industry are Wolf and Sub-Zero. Both companies are very different organizationally and in product offerings. The Wolf brand was acquired by Sub-Zero refrigeration in 2000. Before that, it was a producer of high quality restaurant and hotel professional cooking equipment. Wolf has more than 70 years of experience building high quality products. Now, their products are geared towards the serious home cook. Thermador was founded in 1916. 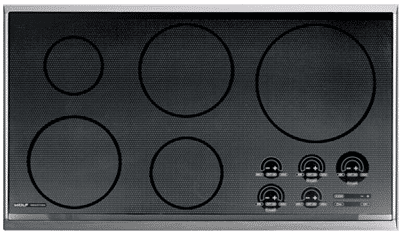 They introduced many industry firsts throughout the years like wall ovens, cooktops, speed ovens, self-clean ovens. Thermador had quality and factory issues as part of Masco but was acquired by Bosch in 1998. Bosch revamped the brand and better yet, their factories. Thermador is now the premium line in Bosch's portfolio. It is also one of the most reliable brands sold at Yale. Both companies are made in the US and both manufacture a 36 inch unit. 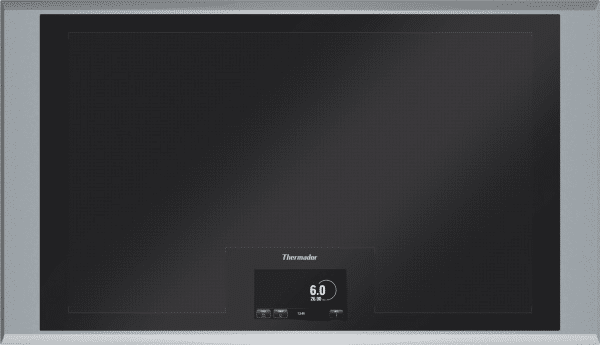 Thermador has two models whereas Wolf has one. Both are excellent products and brands. I like the Thermador, because it has the power burner of 4,600 watts. 4,600 watts is incredibly fast. I do like the position of the controls of the Wolf, but still it's about speed. Rebates are different. Buy the Wolf and qualifying Sub-Zero products and receive a rebate up to $2,500. Thermador has a free dishwasher and hood rebate with qualifying Thermador purchases. Oddly, they are both $2,500. You only need to buy 3 items from Thermador versus 5 or more from Sub-Zero/Wolf. I left the Thermador Freedom out of the comparison, because it is different. The whole unit becomes a burner. In other words, you can place a pan anywhere on the surface and it will cook. This is the future of not just induction, but cooking in general. 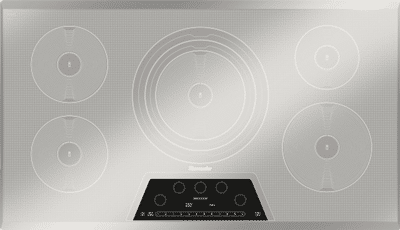 Read more about the Thermador Freedom Cooktop. Download the Yale Induction Cooking Buyers Guide with specs, features, output of every induction cooking product plus insider buying tips to all major brands. Over 100,000 people have read a Yale Guide.